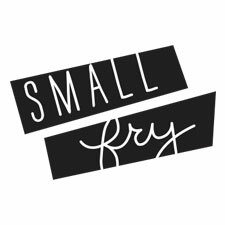 Styled by Cassidy June in partnership with Pottery Barn Kids. Photography by Chrissy Powers. 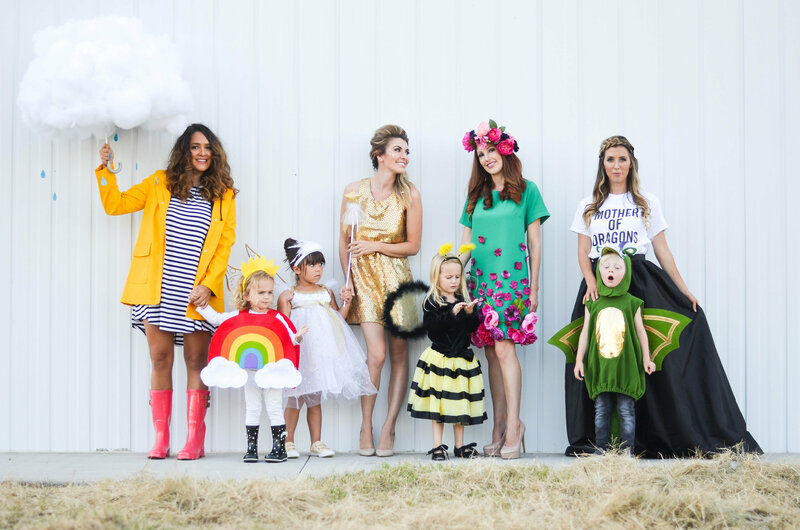 We are so thrilled to share this awesome Mom + Me Halloween costume shoot with you guys today! 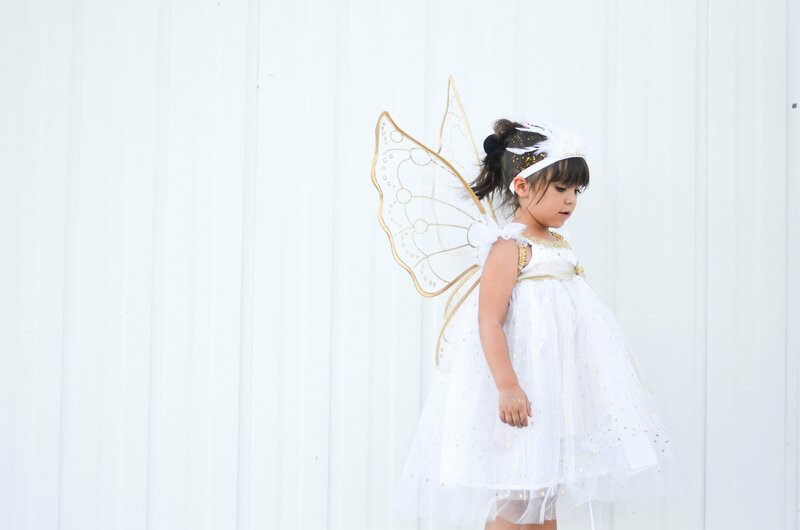 Nothing is cuter than a coordinating family for Halloween, and even better these ideas are pretty easy to execute at home! Thanks to Cassidy June for sharing! 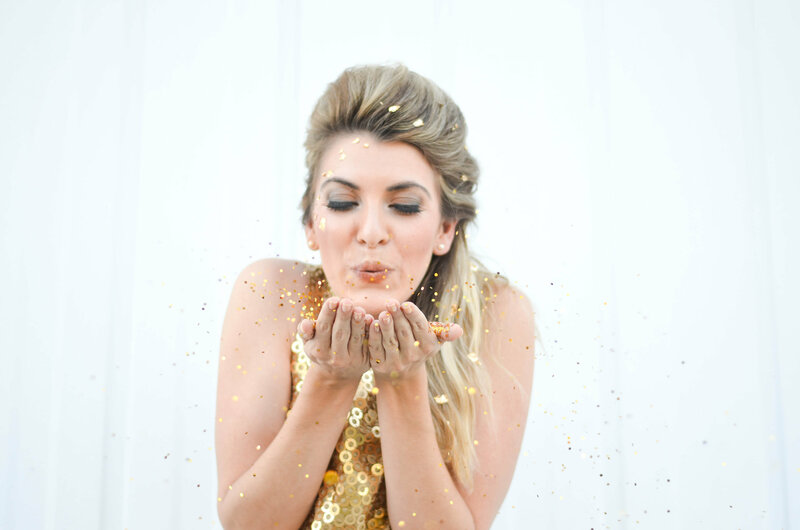 Cassidy June is a mama of two and currently a PhD student studying Marriage Family Therapy. Her love for family wellbeing spans from family mental health to family fun. 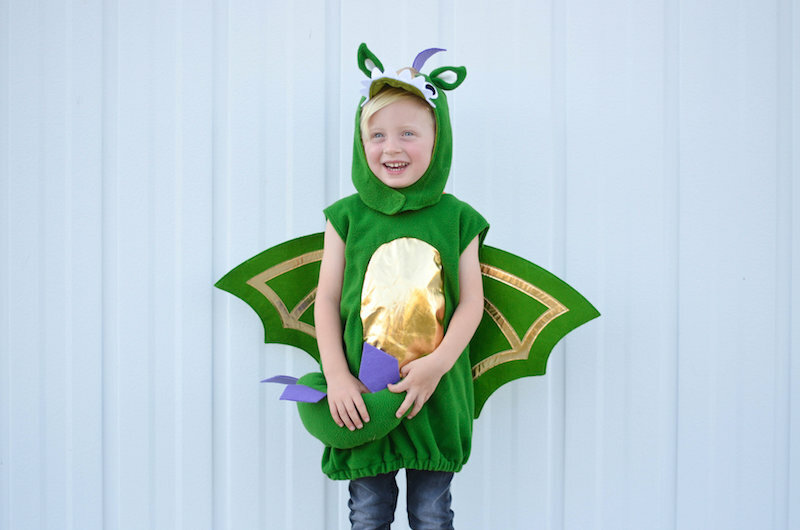 She has fond memories of her parents coordinating their costumes with her and her brothers growing up, and wanted to carry on the family costume legacy! 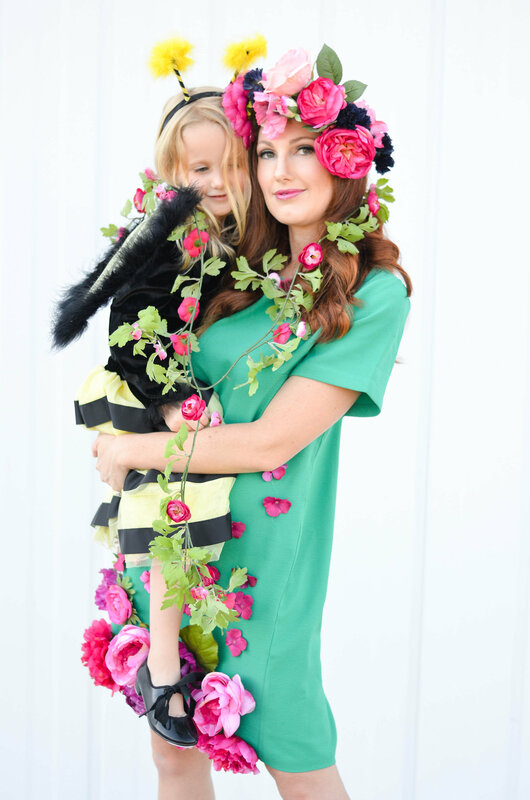 In collaboration with Pottery Barn Kids, Cassidy dreamed up several easy to pull off Halloween mama/babe looks. First up: Field of Flowers and Bumble Bee Abby blogs over at Baby Birds Farm. For her look we created a dress that resembles a field of flowers. 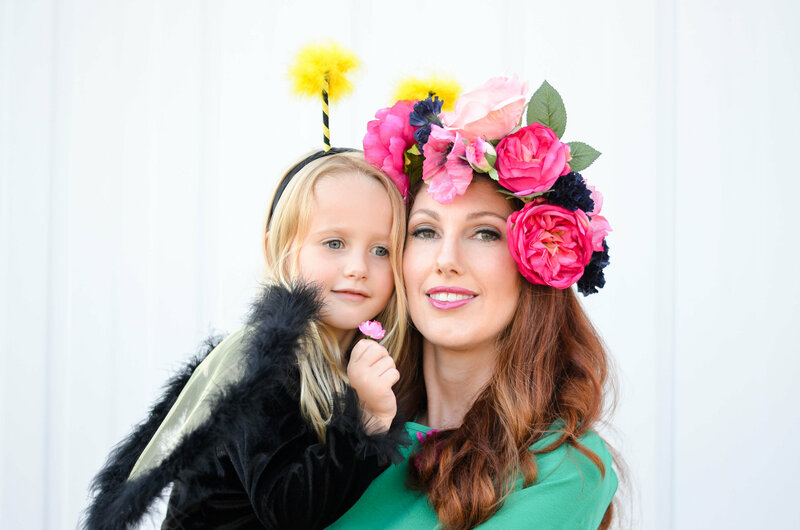 A couple years ago we did this look with our own little family, and my husband wore a yellow shirt that said “I’m the Honey!” So if dad wants to get involved, and you just really want an excuse to wear a flower crown, here’s your look! Next, Fairy and Pixie Dust! Unless you’ve been living under a rock, you’ve heard of Game of Thrones and the power-braid wearing Mother of Dragons (Khaleesi!) 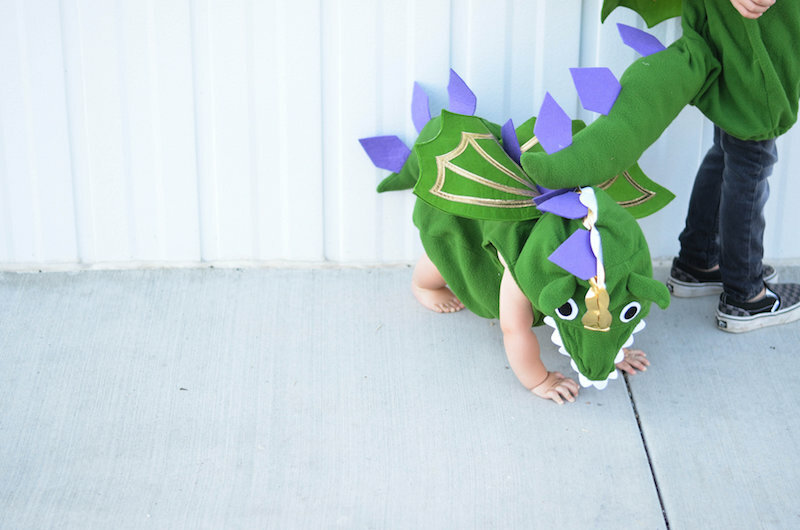 With their recent Emmy win, everybody is going to want their own little dragon entourage. Isobel from Bel and Beau (who also makes that black train skirt!) had the cutest little dragons with gold bellies flying all around her. (The text shirt is from A Little Bundle). Here in California we are in desperate need of some rain this year! 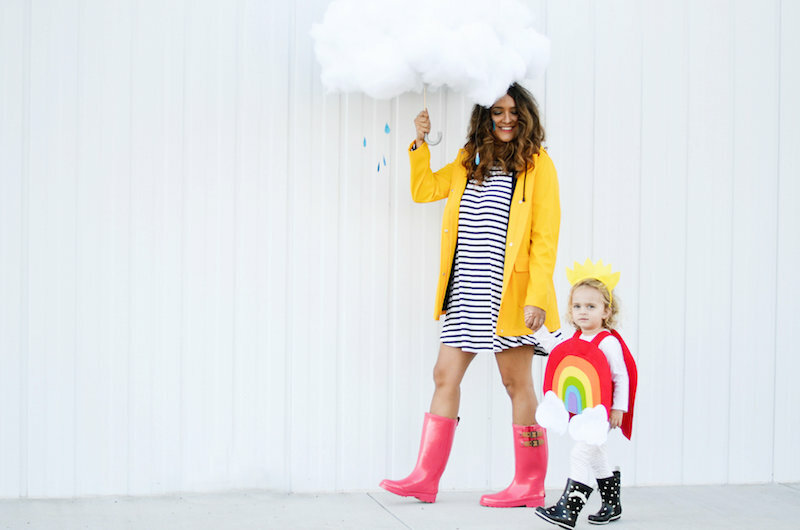 We are pulling out those rain boots with hopeful anticipation, and looking forward to the after rainbow. Nikki made a raincloud out of a kids umbrella, lots of cotton, and blue glitter raindrops. She threw on her raincoat and boots and was ready to chase after that curly haired rainbow of hers! Now go grab a pumpkin spice latte, run to your nearest Pottery Barn Kids (or hop online if that’s your thing), and get your costume coordinating on! How did you make the rainbow costume?